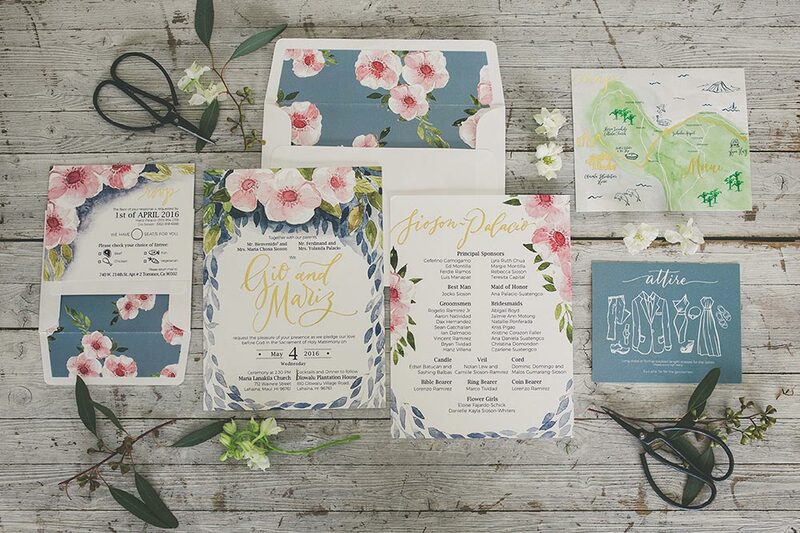 There is a certain level of excitement and anticipation that comes with receiving an invitation to a wedding; even more so if it’s a destination wedding. Sooner or later a question of what to wear starts creeping in. Unless you have been to your fair share of destination weddings, you might start considering your options and wonder – is this appropriate? Even for the bride and groom, there are certain things to consider, when picking attire for the special day in a special place. Luckily, there is no need to panic. 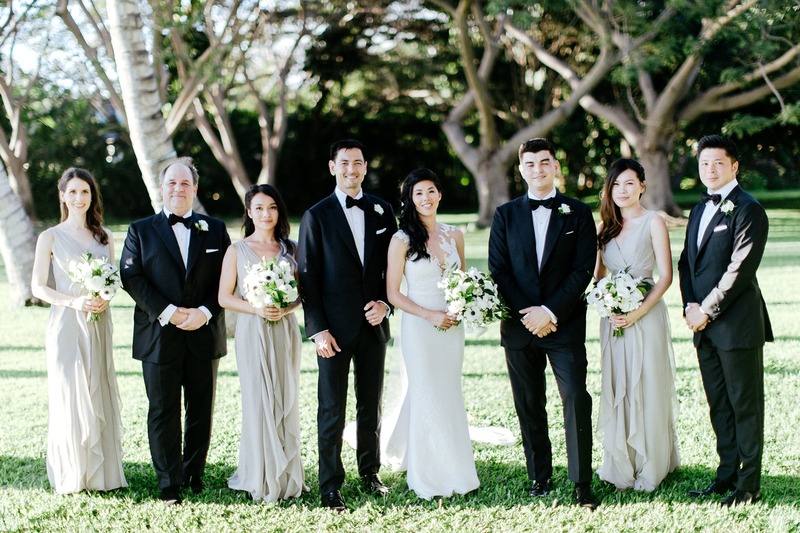 As the bride and groom, once you have settled on your wedding destination and theme, you will know all the details you need to consider for picking the best wedding dress and tuxedo. The same applies to the bridal party. And as wedding guests, your biggest hint is in the wedding invitation – check the dress code and take it from there. Let’s look at all the different dress codes for destination weddings, and factors to consider when picking what to wear to a destination wedding. White-tie is the most formal dress code, and you are more likely to see it in a royal ball or White House State dinner than a destination wedding. For women, it means wearing a floor-length gown with closed-toe high heel paired with expensive jewelry and a clutch. Men wear a full formal evening dress – a tuxedo with tails, white shirt, Marcella waistcoat, a white bow tie. Black-tie is the second most formal dress code. 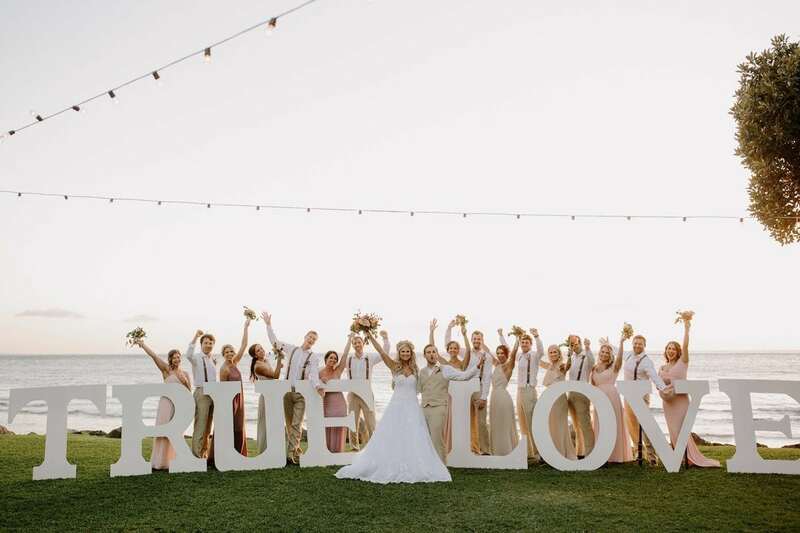 When it comes to destination weddings, this will be the most formal dress code, often implying an evening wedding in a venue rather than a beach wedding. Women should wear either a floor-length dress or a shorter one (not too short) but still keep it dressy and elegant. You can wear bold colors, but prints have to be elegant and not too whimsical. Men should wear a tuxedo with a black tie, and for summer destination weddings a white dinner jacket can be worn with black tuxedo trousers. Formal or black-tie optional dress code is slightly less formal but equally elegant as black-tie. What it really means is that men don’t necessarily need to wear a tuxedo. A perfectly-tailored formal dark suit is also acceptable. Women can wear either a long gown or a shorter dress or even a pantsuit, which should remain classy. A semi-formal or dressy casual dress code gives more freedom to play around with different colors, patterns, and fabrics when choosing a dress. While floor-length gowns should not be worn on this occasion, you can still opt for a long dress from a light fabric which gives it an airy and more relaxed feel. Cocktail dresses are the most common for this dress code, but you can also wear a beautiful skirt with a nice top. Shoes can be anything from heels to elegant wedges or flats. Men should wear a suit, and there is more flexibility with the colors. This is the time you can play around with fancy ties and other accents. Festive attire means you can let your imagination roam wild. Both women and men have more freedom to play with bold patterns and colors, accessories and shoes. Remember, it doesn’t mean casual, but men’s jackets can be in bold patterns, with a colorful pocket square or a bright tie. Think Chuck Bass rather than Tom Ford. You are likely to see a casual dress code if the wedding is taking place outdoors (beaches, gardens, farms). It’s worth keeping in mind that casual doesn’t exactly mean everyday wear so things like sneakers, sandals, jeans, t-shirts should not be worn. Summery dresses for the ladies and dress pants with a collared shirt for men. As for shoes, anything from heels, wedges, flats, and dressy sandals for women and boat shoes or loafers for men. We have already covered this, so first and foremost, keep the wedding dress code in mind. That will give you the general direction to look in when deciding on wedding attire. Is it an indoor or an outdoor wedding? Will it take place on a beach or an outdoor terrace of a hotel or a country club overlooking the beach? Will you have to walk or sand or grass? The wedding location is equally important for the bride and groom as it is for the wedding guests. As a bride, you probably want to avoid a dress with a long train and a long veil, if your wedding takes place on a beach. There is nothing worse than getting tangled in your own veil during a windy ceremony. Light and airy fabrics will probably feel more comfortable than thick and heavy ones. If you have to walk on sand or grass, whether you’re a bride, bridesmaid, or a wedding guest, think about the heel of your shoe. Sometimes wedges or thicker heels are better than pointy heels.  Destination weddings are ideal because more often than not the weather is absolutely perfect. However, you still need to take it into consideration when choosing wedding attire. Is it likely to be very windy? Does the wedding ceremony take place during the day in the sun or in the evening during or after the sunset? Could it be humid if you’re in a tropical location? The time of the day is also a good way, how to decide on a color scheme. If it’s an evening wedding, a dark dress will look better then than during an early afternoon wedding in the sun. If you keep to the dress code, choosing wedding attire really isn’t that difficult. And if you are ever unsure, it’s always better to ask and clarify. Check out this helpful dress code graphic from our friends at THE BIG GROUP!